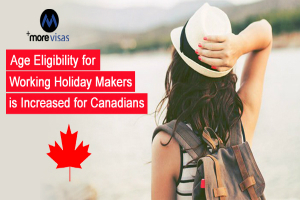 Tourism organizations Australia’s peak body, Chamber-Tourism of Australia, greets the statement today that citizens of Canada up to the age of 35 years are qualified to apply for the visas of working holidaymaker, from November 1, 2018. Tourism Executive Chair of Australian Chamber, John Hart stated, the Visa Program of Working Holiday Maker promotes cultural interchange between Australia and partner nations and is essential to the recreation tourism market, and the labor force of short-term requires in some regions. Working holiday makers roughly spend two and a half times higher than they get, and generate over 25,000 jobs in the economy of Australia. Canada was with the first nations accompanying with the U.K and Ireland in 1975 to enroll into a visa of working holiday maker adjustment with Australia. The working holidaymakers number from these popular countries is on the drop, and the demography of operating holidaymakers is also modifying. Young travelers are preferring not to travel next to the school or to visit for smaller periods. Settings of the Policy require to modify according to the market shifts. The increase of age eligibility previously from 30 years to 35 years for the market of Canada is a desired step in the correct direction. We believe this increase is adjusted with other partner nations as well. Please subscribe to MoreVisas newsletters to know more information and updates about Visa and Immigration. Please take our free assessment from us to know whether you are qualified or not and also it will help you to know further options available to you.